Goals in each half by Kenny Browne and Bastien Hery earned Waterford a deserved victory over St Patrick's Athletic at the Regional Sports Centre. On a bitterly cold night in the south-east, the Blues didn't take long to warm up the expectant home crowd as Browne headed in the opener against his former club on 10 minutes before Hery wrapped up the points on 61 minutes with a sumptuous long-range drive. The victory is Waterford's second since ending their 10-year Premier Division absence, with their only setback coming with defeat to champions Cork City last week. 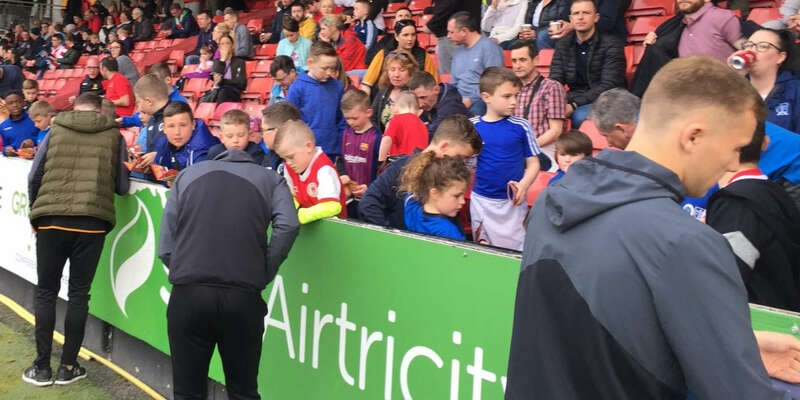 In the only changes to the team beaten 2-0 by Cork, new signing Lawrence Vigouroux replaced goalkeeper Niall Corbet with Dean O'Halloran making way in attack for Republic of Ireland Under-21 striker Courtney Duffus. Vigouroux, the London-born stopper interested in playing for Chile, has endured mixed career in spells at Tottenham Hotspur, Liverpool and Swindon Town, and it typified his first-half display as many of kickouts and clearance were wayward. Kevin Toner was fortunate not to divert Izzy Akinade's left-wing cross into his net but the Saints wouldn't be so lucky from the resultant corner. In a rehearsed set-piece, Browne raced to the near post to connect with a corner from captain Paul Keegan and the defender's flicked header found the roof of the net. 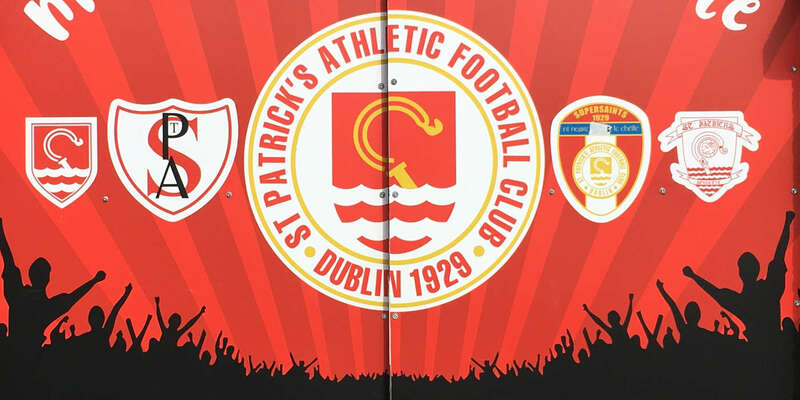 St Pat's looked far from comfortable in dealing with the pace and power of Akinade and his new strike partner Duffus. From a Duffus knockdown, Akinade got a clear sight of goal only for his effort to clear Barry Murphy's crossbar by inches. While Gavan Holohan also went near to adding a second, the Saints keeper almost conceded a second in farcical fashion. Akinade was lurking when the goalkeeper slipped on the end-line but assistant Brian Fenlon adjudged the ball went out of play before he slipped it into an empty net. 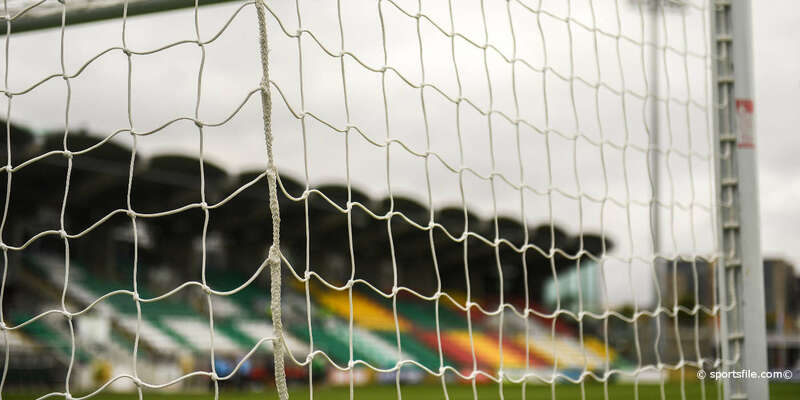 Conan Byrne and Chris Fagan, goalscorers against Bray, were getting little change out of the home defence and Rory Feely produced a last-ditch tackle to thwart Byrne from close-range on the only occasion they probed into the box. By contrast, Waterford's tempo in the final third didn't relent after the interval. Murphy twice had to be at his best, firstly from a powerful Akinade header soon after the restart that he batted away and then by diving low to foil Duffus. All the pointers indicated a second goal was coming for the Blues and it duly arrived in sensational fashion. Once again, Duffus showed great composure to lay the ball back and following up to rifle a shot home from 30 yards was the influential Hery.